robotics-university.com | Hello friends, are you in good condition? I hope so. Today I will give you a short tutorial how to powering Raspberry Pi in order you can start enjoy using it. 1. Connect Raspberry Pi with a LED/LCD monitor via each HDMI port. 2. 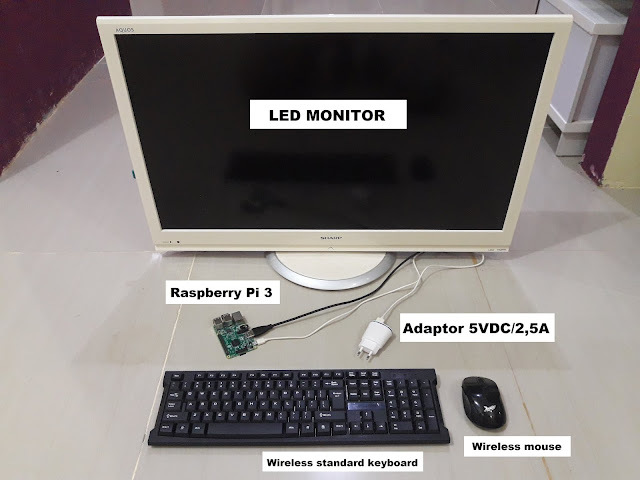 Connect wire/wireless USB keyboard via available USB 2.0 port. 3. Connect wire/wireless USB mouse via available USB 2.0 port. 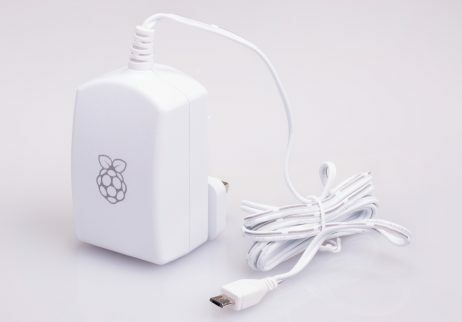 After that, powered your Raspberry Pi with power DC adaptor that equipped with micro USB connector on the end of the output cable (See figure 2). Make sure that the output voltage of your power DC adaptor is 5 volt DC (VDC) with 2,5 ampere current. No more or less. 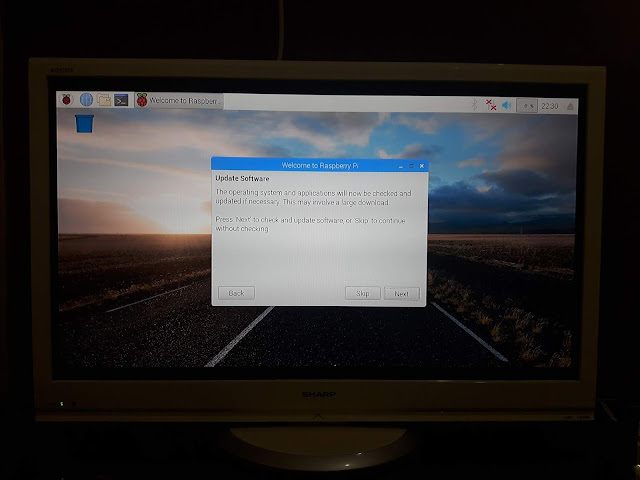 In order your Raspberry Pi can work properly. Once you powered your Raspberry Pi, it will make Raspberry Pi start to boot and enter to Raspberry Pi (Raspbian/NOOB) operating systems desktop. See figure 3 and figure 4! Congratulation! You have success to power your Raspberry Pi and make it booting for the first time. The first setting is Country setting. You have choose your country, your used language, and your place time zone. 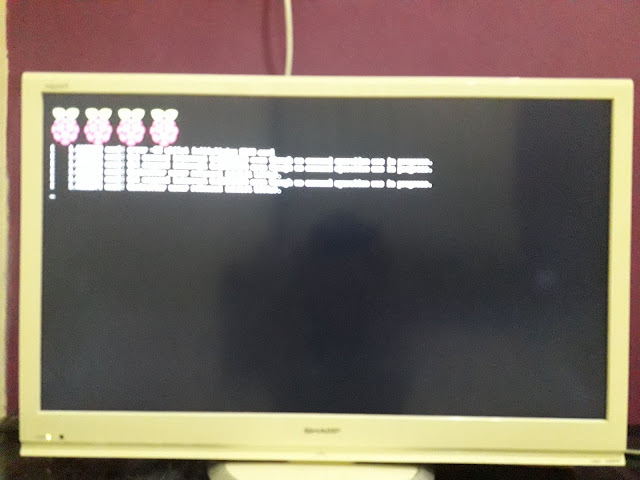 Set this setup phase according yourself. The second setting is change password. You are recommended to change your Raspberry Pi password for increase the security. The third setting is update software. 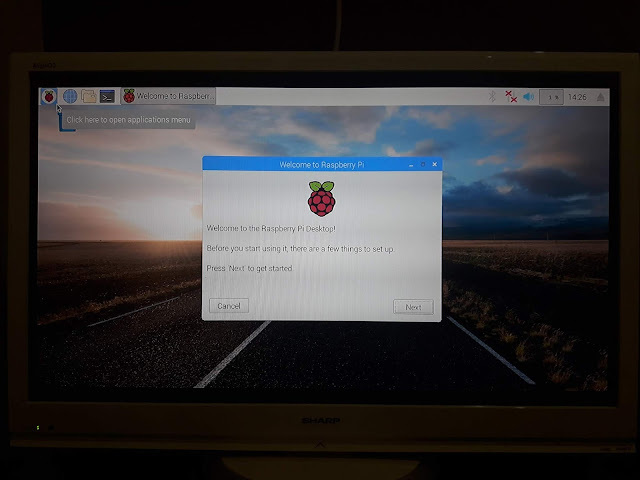 The feature of Raspberry Pi operating systems (OS) software is update frequently, so it is recommended for you to update your Raspberry Pi software periodically. 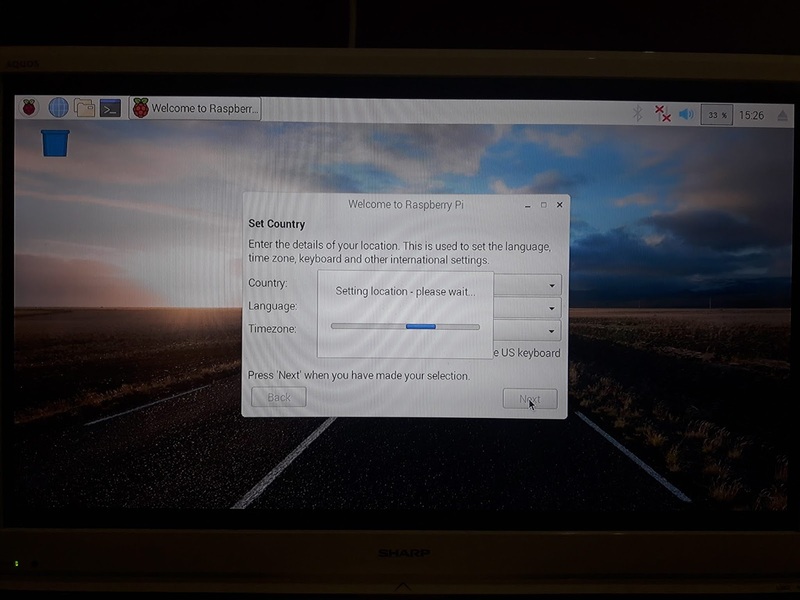 But if you don’t want to update the Raspberry Pi software, just press the “Skip” button. After all of the setup complete, then press “Reboot” button to make the raspberry Pi rebooting, in order your Raspberry Pi can run with your new setup. 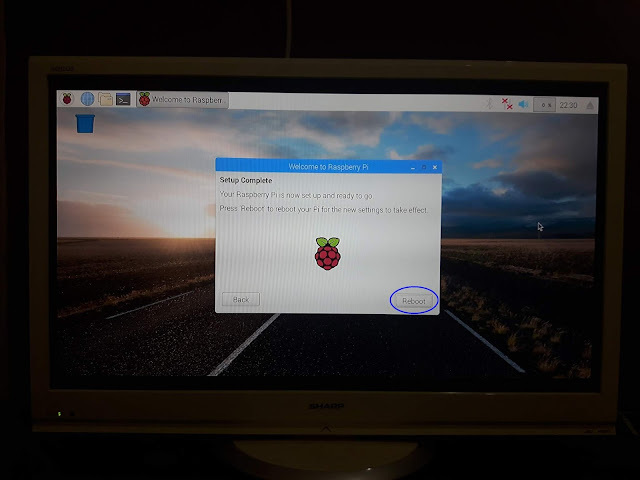 0 Comment For "Powering and Booting First Raspberry Pi"